Lippo Group CEO and deputy chairman James Riady has denied playing any roles in a bribery case surrounding the Meikarta mega development project in Bekasi regency, West Java. Following a nine-hour questioning session at the Corruption Eradication Commission’s (KPK) office on Oct. 30, the tycoon stated that he had no knowledge of the alleged bribery. 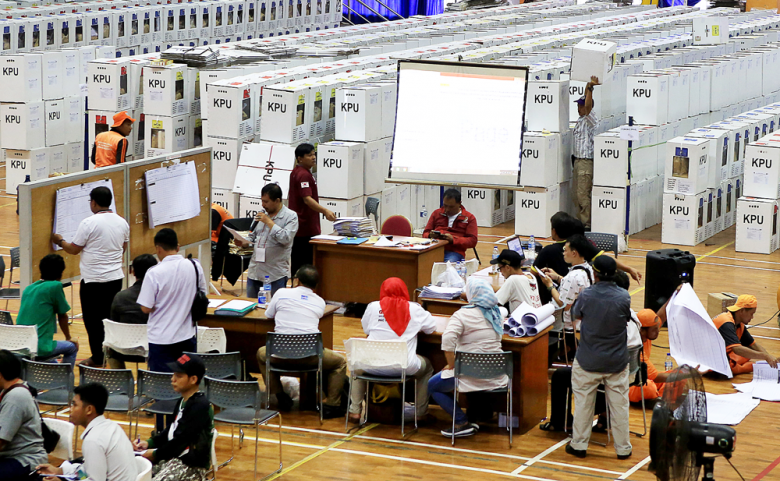 The KPK has named nine individuals, including Bekasi Regent Neneng Hasanah Yasin and Lippo operational director Billy Sindoro, suspects in the case. James was first implicated in the case after KPK investigators raided his house in Karawaci in an attempt to find evidence. Although the KPK stated later that investigators did not find any evidence relevant to the case, suspicions remain, particularly after Neneng told journalists she had a meeting with James, during which they discussed the Meikarta project. House of Representatives Deputy Speaker Taufik Kurniawan has been named a suspect by the Corruption Eradication Commission (KPK) for his alleged involvement in a graft case related to special allocation funds (DAK) for Kebumen regency, Central Java, in the revised 2016 state budget. 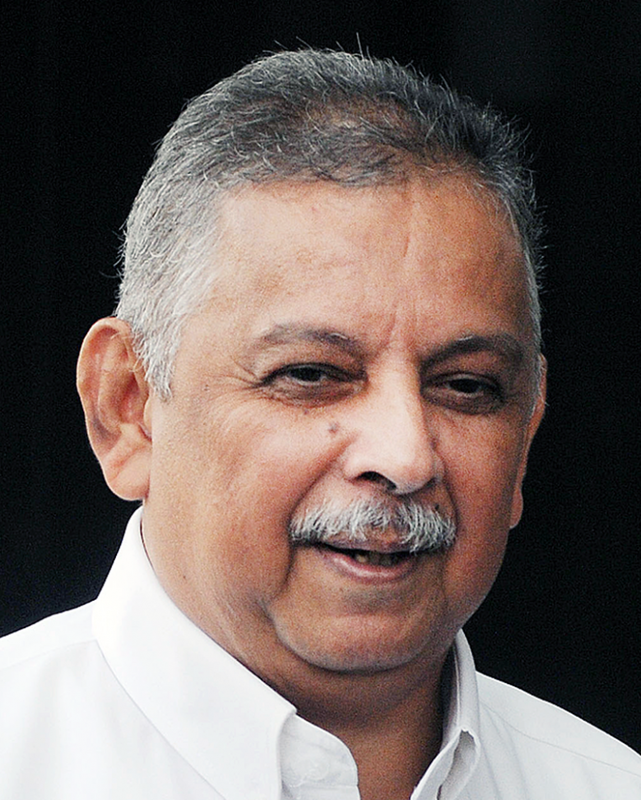 Taufik is suspected of accepting Rp 3.65 billion (US$239,764) from Kebumen Regent Muhamad Yahya Fuad, who has been arrested, in exchange for making amends in the 2016 state budget. Yahya reportedly tried to approach a number of lawmakers, including Taufik, as he was trying to get more funds allocated for the regency. The Corruption Eradication Commission searched the offices of PT Sinar Mas Agro Resources and Technology (SMART) and its subsidiary PT Bina Sawit Abadi Pratama in Jakarta on Oct. 30. The raid was related to the alleged bribery surrounding PT Bina Sawit Abadi Pratama and members of the Central Kalimantan Legislative Council. In the raid, the KPK reportedly seized two boxes of licensing documents and other corporate papers. KPK spokesperson Febri Diansyah said three locations in Central Kalimantan were also searched by the KPK. The KPK has named seven people from the Central Kalimantan Legislative Council, PT Bina Sawit Abadi Pratama and SMARTA bribery suspects. Members of the council allegedly accepted a bribe from Sinar Mas group in exchange for granting PT Bina Sawit Abadi Pratama the freedom to cultivate land without the government’s supervision. The 2018 Our Ocean Conference (OOC), which was hosted in Indonesia, reportedly prompted 287 new commitments from participating countries. Furthermore, the conference also resulted in more than US$10 billion and 14 million square kilometers of marine protected area. 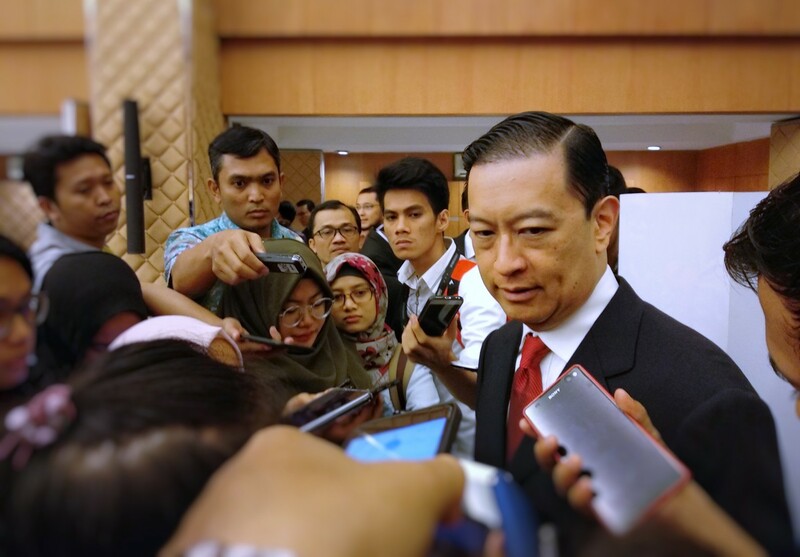 According to the Coordinating Maritime Affairs Minister Luhut Pandjaitan, the results of the conference exceeded the country’s expectations. 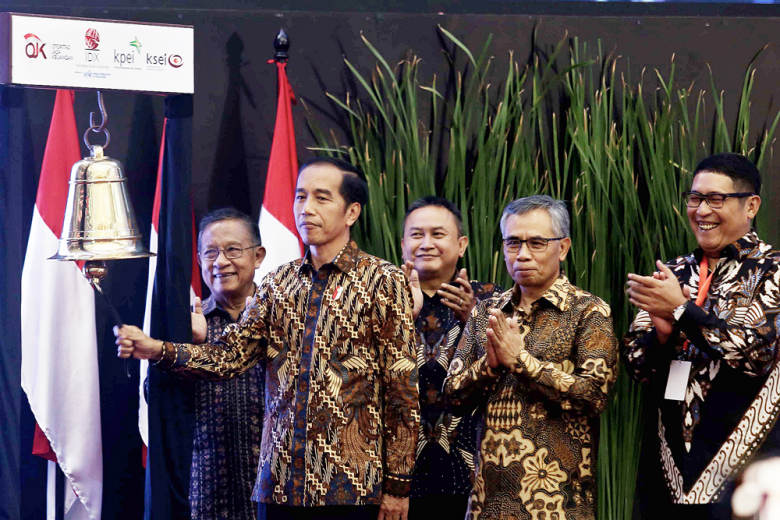 The 2018 OOC in Bali was attended by six heads of state, more than 1,900 representatives of 70 countries, 36 ministerial level officials, 38 international organizations and 290 NGOs and the private sector. Since it was first held, the OOC has generated 950 commitments on maritime affairs. Indonesia, in the 2018 OOC, proposed a new review mechanism, which aimed to assess the implementation of the commitments. The rupiah depreciation has consequently increased state-owned electricity company PLN loss in third quarter of 2018. PLN recorded Rp 18.46 trillion this quarter from only Rp 2.93 trillion in the same period last year. PLN Finance director Sarwono Sudarto explained the loss surged after rupiah weakened to above Rp 15,000. In a press conference on Tuesday, PLN Corporate Planning director Syofvi Felienty Roekman said PLN will continue hedging and operational efficiency to suppress operational costs and loss in the upcoming quarter. Meanwhile, Deputy State-Owned Enterprises Minister for Logistics, Tourism and Energy Edwin Hidayat Abdullah said every Rp100 depreciation, PLN debt will rise by Rp 1.3 trillion and every US$1 oil price increase will increase operational cost by Rp260 billion. Indonesia’s investment risk has surged significantly as reflected by increasing five-year credit default swap (CDS) level to 160.63 or 84.84 percent year-to-date (ytd). The ten-year CDS level was recorded at 227.38 or 47.71 percent ytd increase. Indonesia had higher CDS growth than other BBB- rated countries. For instance, India, Hungary, Philippines and Colombia recorded 61.51 percent, 0.19 percent, 11 percent and 45.38 percent ytd five-year CDS growth, respectively. Mandiri Sekuritas Fixed Income Research head explained the current account deficit and declining foreign exchanges reserve made Indonesia undervalued, where investing in Indonesia poses a higher risk. Deposit war might start very soon as banks are competing with bond’s increasing yield level. Deposit interest rate increase is expected to continue next year. The Deposit Insurance Corporation (LPS) raised deposit interest by 25 basis points to 6.75 percent for general banks and 9.25 percent for regional-owned banks on Tuesday. LPS board of commissioner member Destry Damayanti said increasing interest rate will continue until next year following The US Federal Reserve hawkish policies. Destry also explained the growing interest is needed due to growing demand of fresh funds to maintain liquidity health amidst credit expansion and declining third party fund’s growth. The House of Representatives (DPR) and the government concurred on the rupiah’s new normal at Rp 15,000 per US dollar. The legislature is expected to sign the 2019 state budget draft on Wednesday, where the rupiah exchange assumption was revised to Rp 15,000 from Rp 14,400. Despite the new assumption, other macro assumptions were not changed such as 5.3 percent 2019 economic growth, 3.5 percent inflation and US$70 Indonesian Crude per barrel. The assumptions set state budget in 2019 Rp24.40 trillion higher to Rp 2,461 trillion from 2018.